Okay it’s been just about 2 years since I took this photo but I just can’t belive how much that time has flown by. For several years we went to Montauk for a boating rendezvous. This was the last year going there. We always had fun lounging around the boat, going into town for shopping, talking the bartenders into giving me more than the allocated drinks, and then dancing around buzzed off the tequilla sunrises. 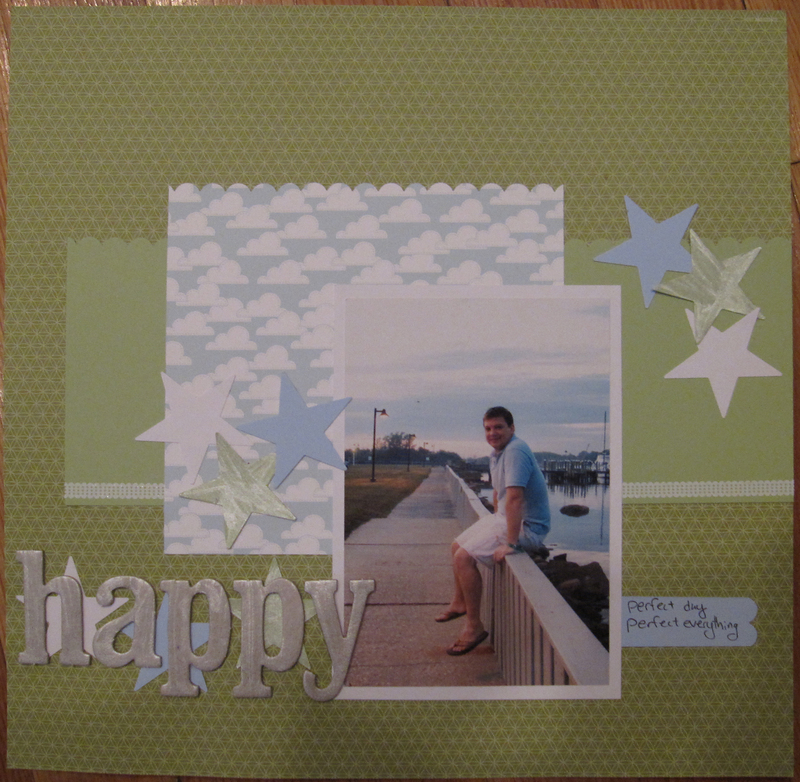 I took an online scrapbooking class about using sketches to create layouts. I created this LO based upon one of the class sketches. 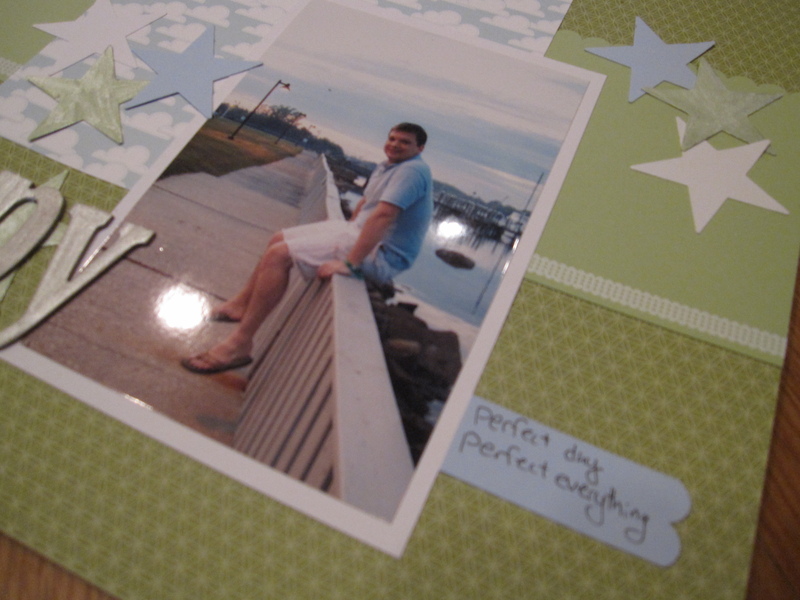 I like getting to apply what I learn in the classes and use new scrapbooking stuff I just got. I had just received some Stampin’ Up! supplies so those things in the layout, including the cloud paper, shimmer paint, and the star and border punches. I was so excited to get the shimmer paint! I got it in Platinum and Frost White, which would work well for the color pallets I typically use. 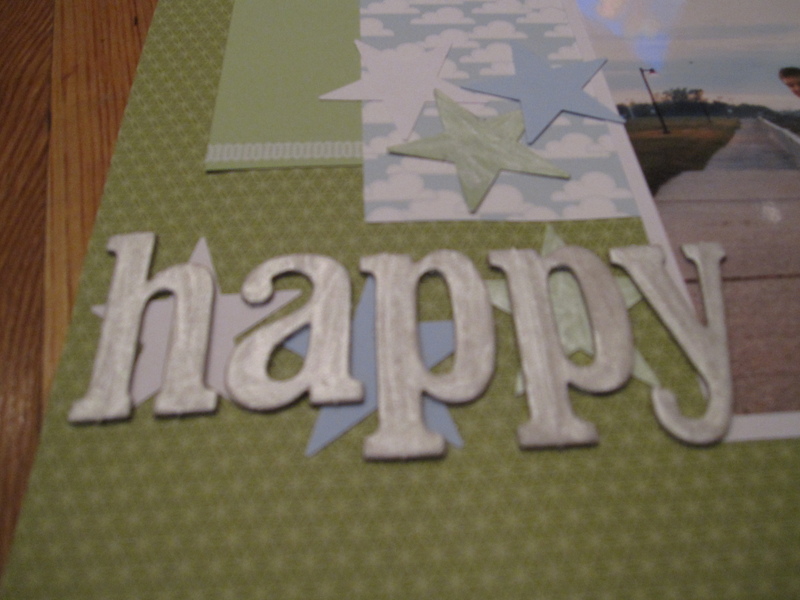 I used the platinum one for this layout when I painted the chipboard letters for the title and the accent stars (that I cut using my new punch!). super cute lo! definitely has a summery, calm feel. where’d you take the online scrap class?